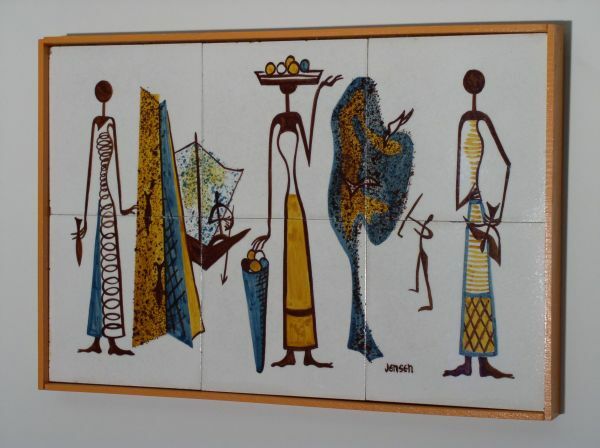 Framed hand decorated (pre-firing) tiles signed "Jensen". Six very heavy 6 by 6 tiles in simple orange frame. Happy scene containing Mod styled tropical figures.